The first question the headline begs is this: What is, or rather what could be, Israel’s worst? In my opinion the short answer is this. In an effort to defuse the demographic time-bomb of occupation and close the Palestine file for ever, Israel resorts to a final round of ethnic cleansing, to drive the Palestinians off the West Bank and into Jordan and other neighbouring Arab states. (What about the Palestinians of the Gaza Strip prison camp? They are left to rot and will suffer the same fate as their West Bank brothers and sisters if they chose to stay and dare to threaten Israel’s security). Understanding the full extent of the complicity of EU ministers and their governments in Israel’s defiance of international law does not require a lot of effort. On 5 July, Oxfam released its latest report, On the Brink: The Impact of Settlements on Palestinians in the Jordan Valley. Its findings included the following. The Oxfam report also noted that it’s not only in the Jordan Valley that the pace of Israeli land theft is quickening. 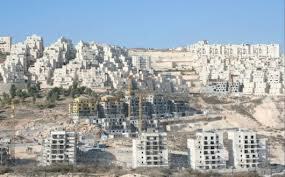 2011 saw a 20 percent rise in new settlement construction across the whole of the occupied West Bank as compared to 2010. Over the same period, the number of Palestinians displaced by demolition doubled, with 60 percent of the demolitions carried out in areas close to settlements. (To add to their assertion that God gave them the right to plunder Palestinian land, the settlers now have the endorsement of an earthly authority – the Levy Committee. Under the chairmanship of former Israeli Supreme Court Justice Edmond Levy, it was set up earlier this year by Prime Minister Netanyahu to establish whether or not outposts constructed by settlers without government authorization were legal. The 89-page report of the Levy Committee ruled that they are “because Israel does not meet the criteria of ‘military occupation’ as defined under international law.” Jonathan Cook described this denial of Israeli occupation as “preposterous”. I go further. I think it is irrefutable proof of a Zionist mindset that is deluded to the point of clinical madness). Oxfam’s International Executive Director, Jeremy Hobbs, underlined this call for action with the statement that “World leaders have long been saying the right things but strong words alone are not enough.” (This important comment from Hobbs did not appear in the BBC’s take on the Oxfam report on its web site. I presumed that this omission was an instance of self-censorship by the BBC to avoid hassle from supporters of Israel right or wrong). Three questions are now in order. The first is: What are the right things in strong words that EU (and other) leaders have long been saying? The urgent action Jeremy Hobbs had in mind for the purpose of pressing Israel would require the EU to reassess its relations with the Zionist (not Jewish) state and decide that the time had come to use the leverage the EU has on account of the fact that about 60% of Israel’s trade is with Europe. The EU message to Israel then would be something like this: “If you want to continue enjoying the trade and other benefits of your relationship with us, you must comply with your obligations under international law.” An incremental process of EU pressure on Israel could (and in my view should) start with the banning of produce and products from the illegal Jewish settlements on the occupied West Bank. So much for what could (and should) have been. Now to the second question. How did the EU actually respond to the call by Hobbs (and others) for urgent action to press Israel to end the building of illegal settlements and be serious about peace? It decided to reward not punish Israel. At the annual meeting of the EU-Israel Association Council in Brussels on Tuesday 24 July, the EU confirmed that it was now ready to upgrade trade and diplomatic relations with Israel in more than 60 areas, including migration, energy and agriculture; and that it would remove obstacles impeding Israel’s access to European government-controlled markets and enhance Israel’s co-operation with nine EU agencies, including Europol and the European Space Agency. (The decision in principle to extend EU-Israel co-operation in 60 areas was taken in 2005, but implementation of it was put on hold when Israel went to war with Palestinians of the Gaza Strip at the end of 2008 and was accused of committing war crimes). “The right-wing government of Benjamin Netanyahu has serially defied and insulted foreign leaders, including US President Barack Obama; given the settlers virtual free rein; blocked peace talks with the Palestinians; intimidated and marginalised human rights groups, UN agencies and even the Israeli courts; and fuelled a popular wave of Jewish ethnic and religious chauvinism against the country’s Palestinian minority, foreign workers and asylum seekers. “No wonder, then, that in poll after poll Israel ranks as one of the countries with the most negative influence on international affairs. The third question is: On the matter of Israel’s policies and actions, what explains the refusal of EU ministers to match their words with deeds? It’s not enough to say they are hypocrites of the highest order. They are but there’s much more to it than that. How much more was indicated by a senior EU diplomat speaking on condition of anonymity to The Guardian the day before the EU-Israel Association Council meeting. (In its report of what the unnamed diplomat said, The Guardian predicted with precision how the EU was going to reward Israel). That squares with what I have been writing and saying for some years. Almost everybody in public life in the Western world (not just the EU), and actually far beyond, is frightened, even terrified, of offending Zionism too much or at all. And there’s no mystery about why. Provoking Zionism’s wrath invites, guarantees, a false charge of anti-Semitism, and that can destroy careers. In my analysis what happened in Brussels on 24 July confirms something else I have been writing and saying for several years. The Zionist state is Israel is a monster beyond control. And that’s why my next article will be under the headline IS PALESTINE A LOST CAUSE? I will argue that it is unless… And I will spell out what the unless is. It's an atrocity that the people/countries/governments who only verbally attack Israel will not take any legal action. Fear of losing their career? Fear of being anti-semitic? Who cares, why go half the distance and then stop? These people all have greasy palms and they are simply cowards. The bloodshed and poverty for the last 64 years of the Palestinians will be in their minds until they die. Amazing way to live your one chance at life, well done, cowards. Shame on you all. Shame on the aggressive Zionism that plagues the world, Jews and non-Jews. I know many Palestinians and many of them are friends. Imagine this scenario: let's pretend that UFOs with aliens attacked Israel and all the Jews were running for their lives. I know for a fact that differences would be put aside and the Jews would be let in to West Bank and Gaza for safety. How is that for human compassion. Check this youtube video: http://www.youtube.com/watch?v=MjBk5Jk49fI it really describes how the Palestinians feel about what is going on these days. We all had hope when Obama became president and the paradox is that the hope faded after he won the Nobel Peace Prize! All what we have now is disappointment! Talk about hypocrisy, he is worse than George Bush! Alan, I really like to read your articles, and it is not a mystery what the answer to your last question is. My guess is Obama will win the election again, and the final ethnic cleansing will happen on his days proving what you next article will be. Alas the only US president in history to mention the word Palestine as a nation had the upper hand in its complete and final destruction. The ongoing hypocrisy is totally sickening. The West, lacking the intestinal fortitude to stand up to israel, always coming out with these utterly ridiculous statements about abiding by UN resolutions, etc. The entire West is just as guilty by remaining silent. Last month, the EU has offered Avigdor Lieberman to upgrade diplomatic and trade relations in more than 60 areas. “I was struck by the fact that a whole range of relations was offered to Israel – at the request of Israel – as if nothing is happening on the ground. Most ministers are too afraid to speak out in case they are singled out as being too critical towards Israel, because, in the end, relations with Israel are on the one hand relations with the Jewish community at large and on the other hand with Washington – nobody wants to have fuss with Washington. So [ministers] are fine with making political statements but they refrain from taking concrete action,” one senior EU diplomat told British daily Guardian (July 23, 2012). Since 2000, the Zionist entity is a privileged partner of the EU. The EU is Israel’s first trading partner with total trade amounting to 29.4 billion Euros in 2011. Last month, former US ambassador to the EU, Stuart E. Eizenstat, suggested that the nations which desire to join the EU, should be forced to pay compensation for crimes against the Jews. However, EU also angered the Zionist regime when it refused Lieberman's request to declare Lebanese Islamic Resistance Hizbullah as "terrorist organization". Palestinian freedom was never going to be granted by governments. Personally I have never looked to the EU, the UN or the US to resolve this issue. These are the groups that funded, protected and supported zion. Why would they oppose it now? That makes no sense. No; Palestinian freedom was always going to happen, as all great movements have; at the grass roots. That is by the people, not by the leaders. As a military historian I have a critical understanding of the battlefield and how to engage in tactics that will defeat an enemy. In the case of Israel and the Palestinians, there is no doubt in my mind that the Palestinian cause is lost and has been for a very long time. In addition, there has been an alternative and more successful (and non-violent) strategy that the Palestinians could have engaged in that in time would have possibly seen the returning of their stolen lands. In this case, the most successful battlefield strategy of all-time is that of the "indirect approach" as coined by RBA Captain Liddel Hart in the 1930s. Hart originally found Alexander The Great to have first used this approach at Gaugemala but if you look at the Spartan defeat by Thebes earlier, it was Theban Cavalry that actually first engaged in such a maneuver. Simply put the "indirect approach" defines that the best tactic in battle is that which will strive to attack the opponent at their weakest or least expected avenue of attack... or both. In this case, the Palestinians have been using just the opposite approach in their dealings with Israel by attempting tod eal with them directly on a rational basis (Those who claim that the Palestinians have been terrorizing Israel as their tactic have no knowledge of historical events in this region.). Because Israel is a nation of sociopaths, rational and even direct violent confrontation will have no successful results since it merely feeds into the Israeli perception of facts on the ground, a perception which is mostly false. Nonetheless, the reactions have been quite expected in the venues the Israelis have used. However, the very thing that Israel cannot and never will be able to deal with is the absence of such conflict in their lives. It is the very foundation of this nation's existence; that Israel has something or someone to persecute. This has been known by both foreign and Israeli sociologists for decades. It is this pssychological foundation that is Israel's weakest link in such aituation. As a result, the correct tactic then is for the Palestinians to simply agree to leave if Israel will provide bonafide relocation assistance so that the Palestinians can eventually lead normal lives in the surrounding countries. When and if this event happens, the world will rejoice that there will now be peace in that part of the world. Israelis will dance in the streets while American Christian Righests and their allies sing the praises of the Israeli nation that God has intervened on the right side of history. At the same time, most of the world's populations who are sympathetic to Israel will subcosnciously initiate a new underlying current of disgust with this tiny nation with the u8nderstanding that Israel forced the removal of the Palestinian population and the world's hypocritical leaders will be unable to hide from the subtle wrath of a population who has witnessed a terrible ethnic cleansing for nothing more than a monsterous nation. And Isreal herself, left with no one to persecute will see herself as victorious and will feel emboldened to create even more mayem in the region; something that most opponents will not see in a positive light, especially Russua. However, without its ability to persecute the Palestinians, Israel will simply begin to implode from the internal rot that not only created this tiny nation but turned it into the most racist, sociopathic group of people on Earth (their morality is their own and an aberration). The underlying results of their victory over the Palestinians will cause Israel in the long term to collapse as it no longer has its psychological foundation to support it while the world slowly turns against it in mass through the increasing of voluntary boycotting of the Israeli economy. The Palestinians have been fighting for something they can never attain with their approach. Thus a reversal in tactics is required, which simply demonstrates that a retreat is in order; a retreat that in the end will most likely cause the destruction of the Israeli state. Hi Steve. This approach was tried and tested but failed. As you correctly point out; the zionist state needs to persecute, so they never allowed the Palestinian people to agree to peace. Now perhaps you see how sick the zionist mentality is. Another point you are correct upon; in the internal rot. It is occurring and will end zion. I may write more on this later if I have the time. I believe it is a network of US-Canada-Israel-Saudi Arabia and co. we are dealing against, with long-termed plan to rob middle east, humiliate Arabs, Palestinians simply 'in the way'. 'Israel' would siimply try to expand if they leave. Hence ALL possible means with inner compass are needed to delay and defeat their goings-on. Arab 'fluid' state (spring) needs to get rid of GCC despots first, hence NATO murdered Gaddafi. I have the impression there are too many 'intellectuals' involved ('Solution' of Ali Abuninah seems to me ludicrous), executive leaders like Hassan Nasrallah are needed, in whatever field (BDS or others). My hopes are more with business leaders and people actually working, disregarding strength of paper-work trade treaties. Social protests have started in Israel, my hopes are with Euro crisis making Israel-EU 'trade' not find many customers. I also hope the better politicians are seeing the inner rot in Israel and am hoping a substantial percentage dont want long-term damage for their country, hence will act accordingly. Anita... No Doubt most European citizens are in sympathy with the Palestinian Cause. However, their leaders talk a good line but rarely hold to it given the constant pressures that European Zionist lobbies and the US government place on them. This is not an excuse for why such leaders who created a European Union of over 400 million citizens as to why they are seemingly unable to go their own way following the idealistic Human rights provisions that were implemented into the EU Constitution. However, like the American one, it is just words on paper and politicians are just mouth-pieces for rhetoric. You are right though when you suggest that Arabs everywhere require more organizing leaders like Hassan Nasrallah. However, such people and their organizations have only so much capability to extend their influence over events. For the most part they are hampered by the internecine political infighting that has been sadly a constant issue in Arab politics since the fall of the Ottoman Empire and was even a factor in this grand empire's demise. In addition, all such organizations are hampered by the geo-political realities that surround their regions, which include the frictions between Sunni and Shia Arab religious sects. Only Iran has had the courage to stand up to such pressures but this nation is only able to endeavor after very fine political activity given the constant threat of attack that it finds itself under. In addition, both Saudi Arabia and Turkey (along with Iran) are vying for regional supremacy under the guise as the true inheritor of the Ottoman legacies. As a result, the pressures on Iran are enormous which disallow the strengthening of its allied partners in the region such as Hizbollah and Hamas (both of which are labeled terrorist organizations for political convenience in the West). These facts on the ground make it impossible for the Palestinians to attain their goals no matter the support from around the world that they may be receiving. Thus a change in their strategy is required for which I suggested a mass withdrawal. Good article and comments. I do not really understand how all the EU countries can be cowed by the possible flinging of the term "antisemite' at them if they criticise in any way the UN member nation of Israel.They are able to criticise any other nation, and they do, but Israel is treated as above reproach, just out of fear. (eg the whole OECD accepted Israel despite so many factors against its entry). This, of course, encourages continuing cruel and illegal actions against Palestinians and other perceived enemies eg Iran. The reason the EU countries get cowed by the so-called 'anti-Semitism' (though none of European Jews could have 'Semite' blood as they all are Asiatic Khazar Turks) - is because they're the ones who had expelled Jewish communities among them for over 108 times in the past. They're glad that Palestinians are paying for their past crimes. Now, if Palestinians agree to leave their native land of over 3,000 years - Israel will get the green light to invade its next-door Arab countries to accomodate the 3 million Palestinians living under the Jewish occupation as no Arab country is going to accept such a large number of refugees. Lebanon and Jordan are living examples of mass Palestinian refugee population - and none of those countries have given them equal citizen status even after 60 years. Now touching the Israelis' warmongering nature. History doesn't record any event in the past when a terrorist group understood the nature of the so-called "non-violence" - not even Mahatma Gandhi. A sciopath only understands the language of counter-terrorism when it's conducted to regain ones' stolen property. Labanese Hizbullah has shown how to deal with Israeli terrorism. After 18-years of armed struggle - it made the world's fourth powerful military to withdraw from South Lebanon in 2000. Later, Hizbullah showed the rest of the Arabs how less than 2000 dedicated freedom-fighters can resist the 30,000-strong invading Jewish army for 34 days in 2006 without letting a single mile of Lebanese territory for Israel to occupy. No wonder, Olmert admitted after his retirement that "Israelis don't know how to defeat Hizbullah".